We Buy Cars in Long Island! As the Original Cash For Cars, we do exactly what the business name states: we pay cash for cars in Nassau County, Suffolk County, and the rest of Long Island. We pay more than our competitors for all cars, trucks, vans, SUVs, and pickup trucks with free removal included. When you deal with The Original Cash for Cars in Long Island, you are dealing with the foremost authority on all pre-owned vehicles. With over 50 years of experience in the retail and wholesale car business, this enables us to accurately quote and pay the most money in the industry. Call us at 631-464-0404 if you have any questions! Every vehicle purchased by T.O.C.F.C. comes with Free Towing from your site. Many unscrupulous companies will quote you crazy high numbers and the driver will talk you down on your vehicle and then shake you down for the tow. Furthermore, mobile appraisers will not ever charge for a tow. Drivers will never renegotiate* the price quoted on your vehicle. Furthermore, we will remove it ensuring to take care of and respect the property on which the vehicle is parked. Furthermore, when we buy cars in Long Island, every vehicle bought by our cash for cars business is processed immediately after pick up. Every vehicle is driven to a processing facility and NEVER left in the street or an unprotected area where it can accumulate tickets, which you are responsible for. Many smaller, fly by night companies operate this way, trying to flip your vehicle for a quick profit. Cash For Cars will never put your license at risk. Every vehicle is off the road and processed properly. In most cases, T.O.C.F.C. can remove your unwanted vehicle the same day. Please contact us for availability. We pride ourselves on our exceedingly fast removal, our honesty, our friendliness, and on paying more money than competitors for any car, truck, van, SUV, or pickup truck. Schedule permitting, we strive to pick up every vehicle in the least amount of time possible. Above all, management knows that time is important and that you want that car gone yesterday! Our staff responds and cash for cars is what we do. We lose things sometimes. Titles for vehicles are never a good thing to lose. However, it happens. There are other ways to prove ownership and still sell or junk your car. Let us help you remove your vehicle even if you have misplaced your title. Call 631-464-0404 to inquire how to junk my car if I lost the title. 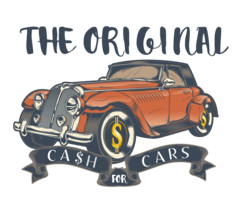 Finally, you get your free quote from The Original Cash For Cars by either calling 631-464-0404 or by filling out the easy form found on this and every page of our site.